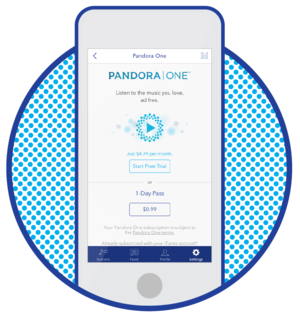 Pandora is introducing a Day Pass for short-term subscriptions to the Internet radio service for parties and other special events. The rumors were true. 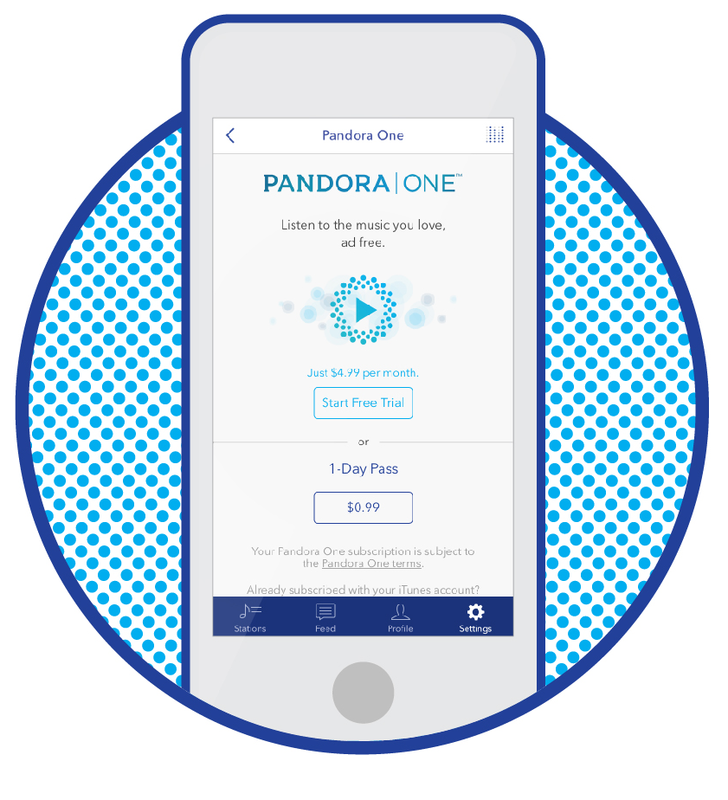 On Thursday, Pandora will introduce its long-awaited Pandora One Day Pass. For just $1 (0.99 but who’s counting?) you’ll get ad-free access to Pandora for 24 hours, just as if you were a regular Pandora One subscriber. The idea is that you can use Pandora as a “set it and forget it” option to add music to your dinner party, tailgate BBQ (the NFL season starts Thursday), or any other get-together. Pandora’s $1 Day Pass debuts on Thursday. To access the new service, open the Pandora app's settings and tap Pandora One to see the option to subscribe on a monthly or daily basis. Presumably you’ll be able to buy a Day Pass from the website as well under Settings > Upgrade. Pandora’s Day Pass announcement comes as the Internet Radio pioneer celebrates its 10th anniversary. The celebration kicks-off with “Listener Love Day” on Wednesday. The promotion offers 24 hours of ad-free listening for every Pandora user—although free users will have to endure an ad promoting Listener Love Day itself. The mostly ad-free promotion ends at 12 a.m. Eastern on Thursday. Reports of Pandora’s day pass plans were first reported by GigaOm back in March. The impact on you at home: Pandora’s Day Pass is a great idea for anyone who wants ad-free music listening for a specific event. But it’s an expensive habit if you use it five times or more in a month. A full ad-free Pandora subscription is just $5 per month, meaning the Day Pass becomes overpriced rather quickly if used too often. That said, it’s a great way to pull people back to Pandora and its automated playlist—approach even if it is only for 24 hours. Pandora was extremely popular when it first debuted, but its appeal has waned in the face of streaming services such as Apple Music, Groove Music, and Spotify that let you choose specific tracks or albums from their catalogs.